HCM CITY (VNS)— Shrimp prices have reached a record high since Tet (Lunar New Year) due to a lack of supply. This is a record-high price, said Tran Van Duong, a farmer who lives in An Minh District in Kien Giang Province. With this price, farmers can earn VND60-80 million ($2,900-3,800) per ha despite the low productivity of extensive farming methods they are now using. The price has increased because the harvest area is still small as this is only the beginning yield of this prawn crop. 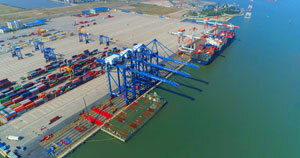 Nguyen Quang Minh, director of Kien Cuong Seafood in Kien Giang, said the company had not bought enough fish, and had only 20-30 per cent of its maximum productivity. The company had to switch to processing squid and other frozen fish to ensure jobs for workers, he added. 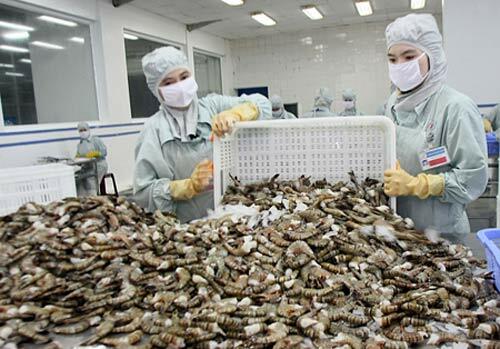 According to several enterprises, the situation will continue for one to two months until farmers collect all their shrimp at the end of the harvest.